The Teen Leader Program brings New York City high school students together with artists, curators, and educators to discuss art critically and to think creatively. Participating students explore folk and self-taught art through interdisciplinary connections. High school juniors and seniors are eligible to become teen leaders at the museum. 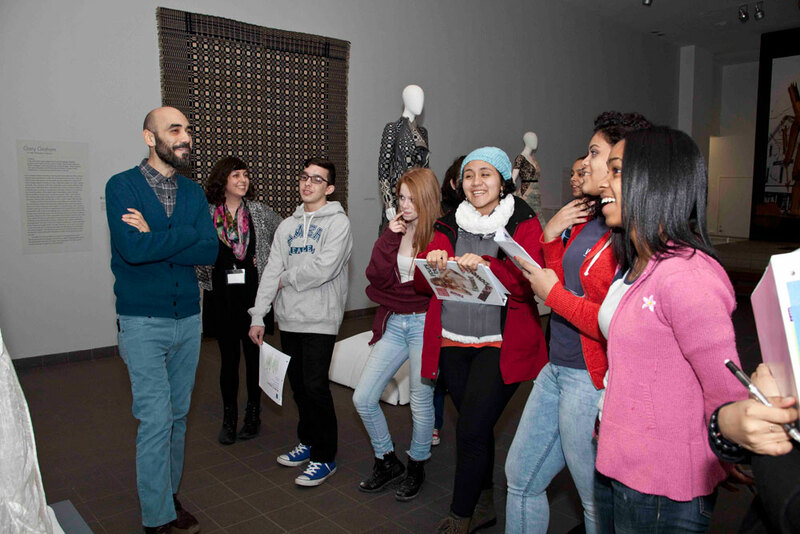 Participating students learn about the museum’s collection, special exhibitions, and careers in the arts. 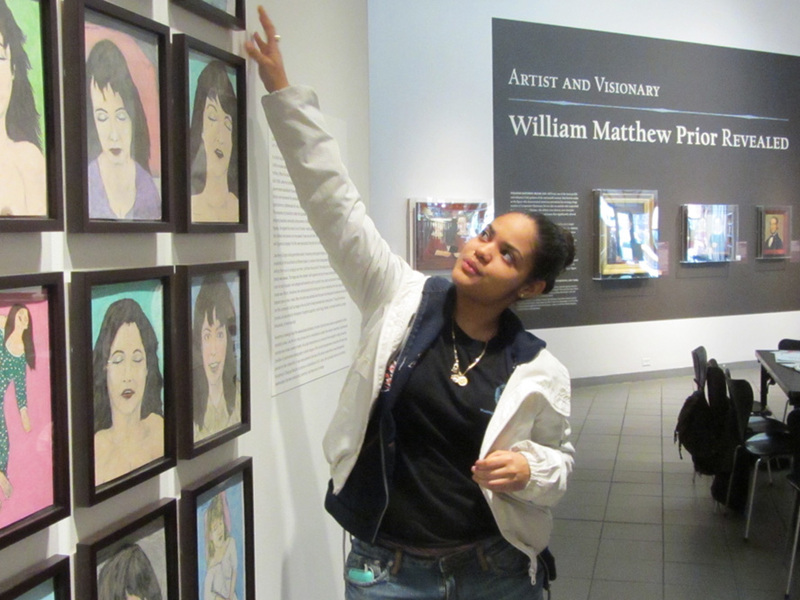 They hone their public speaking skills, engage in a variety of gallery activities, go on excursions, and participate in exchanges with other museum teen councils. 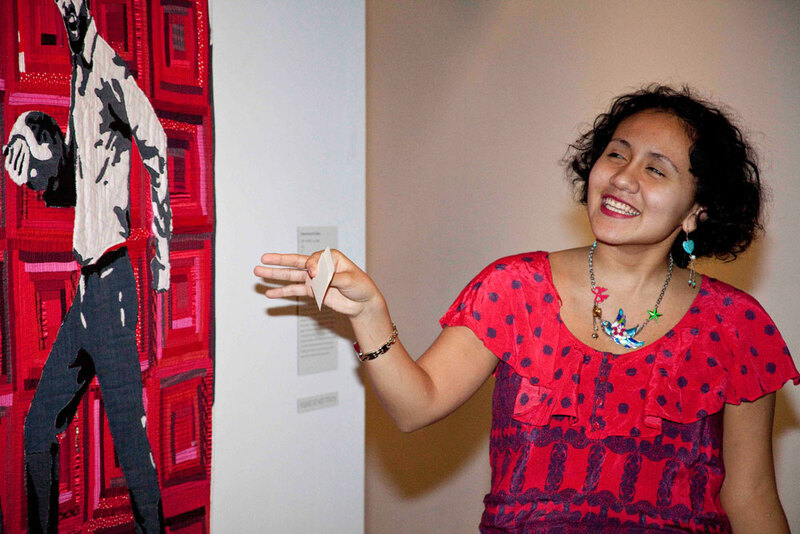 Throughout the program, students develop their own gallery tours based on collection research. Program graduates are eligible to become Summer Teen Leaders, and have paid work experience at the museum during summer months. The Teen Leader Program runs September through June and meets Tuesdays from 4–5:30 pm. For students to participate, the school must commit by assigning a coordinator to oversee the partnership and act as a liaison with the museum. As partners, schools will receive free tours led by teen leaders for their high school students. Stay connected with the adventures, activities, and insights of our Teen Leader cohort by checking out the class blog. To learn more or for an application, contact Rachel Rosen, director of education, at 212. 265. 1040, ext. 381, or rrosen@folkartmuseum.org.